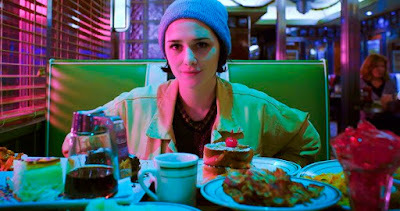 My fondness for Addison Timlin knows no bounds. I loved her in Odd Thomas, endured Fallen for her, and will undoubtedly watch the new social media thriller Like Me for her, despite it looking a little too weird for my tastes. The general premise is solid, though, with Timlin playing a loner who is obsessed with being seen on social media. She launches into a crime spree that she broadcasts online, which sounds a little bit like Natural Born Killers meets Ingrid Goes West. That I can definitely dig. The film is directed by Robert Mockler and he's filled this trailer with wild, seemingly random images with very little sense of the plot. Clearly he's got the goods in setting a hazy, psychedelic atmosphere for Timlin to go nuts in. I just hope this isn't so dark and experimental that it makes no sense. Timlin is joined in the cast by Ian Nelson, horror vet Larry Fessenden (Stakeland), and Nicolette Pierini. Like Me opens January 26th.